The PXWX400 offers stunning imaging performance up to 1080/60p, optimized weight balance and ergonomics, and new networking features that enable field-to-air flexibility like never before. The PMWX400 has the perfect balance of performance and practicality. The enhanced ergonomics and mechanical balance allow for all-day shoulder-mount shooting. This camera puts advanced streaming, sophisticated codecs, the power of 1080/60p imagery, the nuances of 10-bit grayscale and the beauty of 4:2:2 color all within your reach. The PXWX400 supports a variety of Sony viewfinders including the QHD LCD CBKVF02 and the Full HD OLED HDVFEL30 and HDVFEL20. 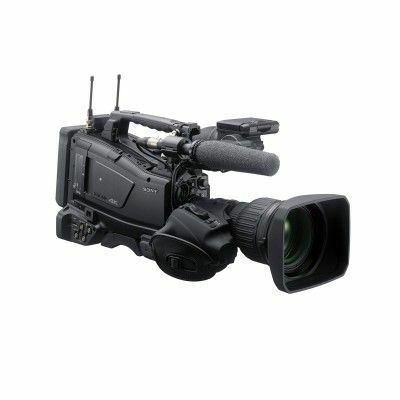 The camcorder offers improved network connectivity, with built-in wireless module, embedded RJ45 Ethernet 100B-T connector and Near Field Communication (NFC)* function for easy Wi-Fi setup and operation via a mobile or tablet with Sonys Content Browser Mobile application. 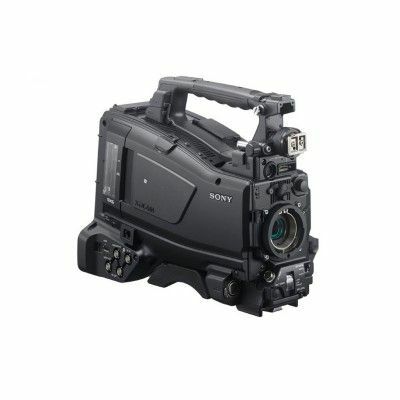 With a 1.5G HD-SDI input for pool feed recording, the PXWX400 is a powerful addition to the Sony XDCAM Camcorder family. High quality XAVC Long GOP recordings at 50p and 59.94p operations The PXW-X400 supports a variety of codecs from SD to HD, including MPEG HD 422 50 Mbps in MXF (Material eXchange Format), which is widely accepted by major broadcasters worldwide, and XAVC Intra frame and XAVC Long GOP codecs. XAVC technology is based on the MPEG-4 AVC/H.264 standard, which provides an exceptional performance compression technology. XAVC provides higher picture quality and bit-depth, thus offers extended grading possibilities. High sensitivity image making The camcorders three 2/3-inch type Exmor CMOS sensors provide superb image quality with sensitivity of F12/F13 and a signal to noise ratio of 62dB. The camcorders digital extender offers x2, x3 or x4 operation. Improved ergonomic design for best-in-class weight-balance The camcorder has been redesigned to improve the weight and handling capabilities compared to predecessor models. 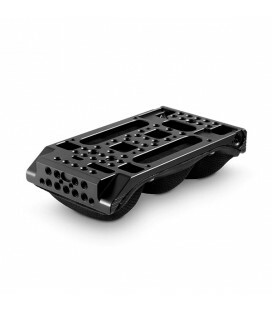 The lighter lens grip resolves any front-heavy issues and dramatically reduces the load on the right-arm. This makes it easier to shoot for long periods and offers more stable images. Supports Full HD OLED viewfinders* The camcorder supports Sony viewfinders including the Full HD OLED HDVF-EL30 and HDVF-EL20, as well as the QHD LCD CBK-VF02. * HDVF-EL30 and HDVF-EL20 are optionally available from December 2015. Embedded RJ-45 connector An embedded RJ-45 Ethernet 100B-T connector on the right side of the camcorder provides a robust and fast network connection that can be utilised for file transfer, live streaming and camera control from a web browser. Near Field Communication* (NFC) function A Near Field Communication (NFC) function allows easy, one-touch wireless LAN connection to a smartphone or tablet device without manual setting of the network parameters. * NFC allows close-range wireless communication between the PXW-X400 and an NFC-equipped smartphone or tablet device. This function will be available in June2016. Built-in wireless module with Content Browser Mobile The camcorders built-in wireless module gives you more mobility with no cable needed, enabling proxy recording and file transfer or live streaming. In file transfer mode, high-resolution files and XAVC Proxy files can be transferred over wireless connection to cloud or FTP server thanks to Content Browser Mobile* (CBM) application. In Push mode, the CBM application enables users to monitor the currently shot video and to wirelessly control camcorder settings such as focus, zoom, iris, white balance, REC START/STOP, and more. With Content Browser Mobile V2.0 proxy trim, proxy partial clip upload, and logging are available. 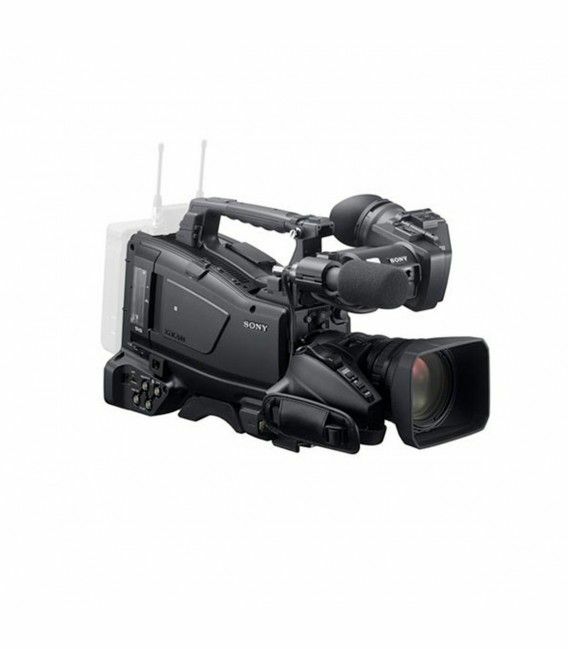 In streaming mode, high quality live streaming is provided by the advanced Sony QoS technology embedded in the camcorder and in the PWS-100RX1 network RX station .Non QoS live streaming is also possible with a third-party receiver or VLC player. *The CBM application can be downloaded from the Google Play Store or App Store. Dedicated ONLINE button for easy network connection A dedicated button gives simple on-off control of Network Client Mode, Auto Upload (Proxy) and Live Streaming. Pool feed (SDI input) An SD or HD-SDI (up to 1.5G) signal can be recorded by the camcorder, a useful function to record an external feed from another camera. Lower power consumption By optimising the design of the hardware, the lightweight PXW-X400 has a low power consumption of 22W (when the wireless function if off, without lens and viewfinder). This enables continuous recording operation for approximately 240 minutes with Sonys BP-GL95A optional standard-type battery. Simultaneous Recording on two SxS cards The PXW-X400 offers a simultaneous recording function for peace-of-mind production. 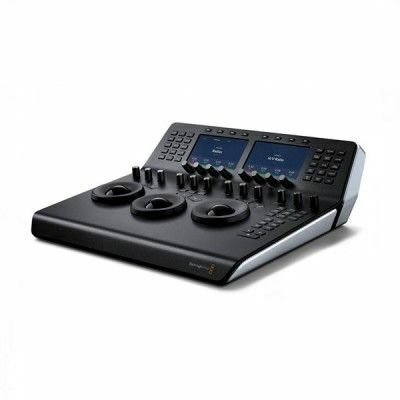 Recording is available on two SxS cards simultaneously as a backup measure within the same codec and operating point* when using the following recording formats; XAVC-Intra, XAVC-Long, MPEG HD422, or MPEG HD420. * Simultaneous recording with proxy file is supported in all combinations with the above formats an SD card. 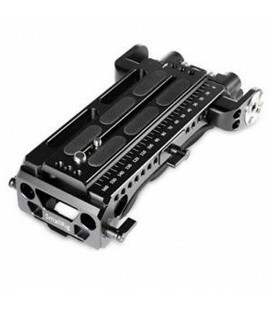 Flexible camera system operation The CA-FB70 Optical Fiber Camera Adaptor or the CA-TX70 Digital Triax Camera Adaptor can be attached to the PXW-X400 for live camera operation. The CA-FB70 enables the PXW-X400 to transmit signals via an optical fibre cable up to 250 m between the CA-FB70 and HXCU-FB70 Optical Fibre Camera Control Unit (CCU) with power and signal transmission. The CA-TX70 transmits signals via triax cable up to 600 m* between the CA-TX70 and HXCU-TX70 Digital Triax Camera Control Unit.